After spending the night at The Perth Manor, and having one of the best sleeps I have ever had on account of the ridiculously comfortable bed - I woke up bright and early. I had a delicious breakfast at the hotel and then made my way over the The Perth Farmers Market. Way back in the day, farmers markets were the norm. People would go to them to get fresh food and even just to socialize. Then the big-chain grocery stores came around and farmers markets became few and far in between. However, since the 90's, farmers markets have come back and are a great source for local, fresh food. Many farmers markets sell more than just fruits and vegetables too! You can get baked goods, meat, flowers, crafts - so many options! The Perth Farmers Market is no different. Being a staple for Perth and the surrounding communities since 1992, The Perth Farmers Market is located in downtown Perth, around the Tay Basin. 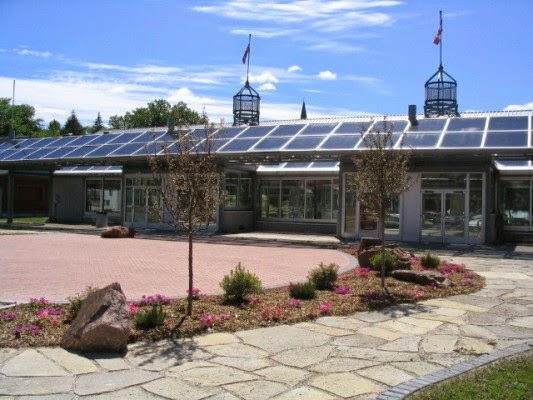 In 1994, the "Crystal Palace" was brought in from Ottawa and now houses some vendors every Saturday for the Farmers Market. This building can actually be used for special occasions as well, such as weddings. Because we know Perth is a top place for those! The Perth Farmers Market hosts over 25 vendors. These vendors offer so many different things! Fresh, local produce is a big one. 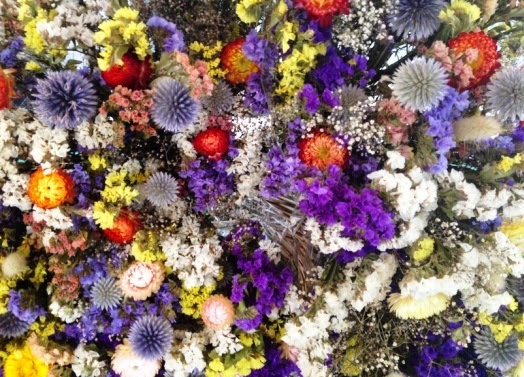 As are flowers, both fresh and dried. I couldn't stop going back to the multiple flower vendors! I really wanted to pick some up, but knew that I had a day full of activities followed by a long drive home back to Toronto, and didn't think the flowers would keep. 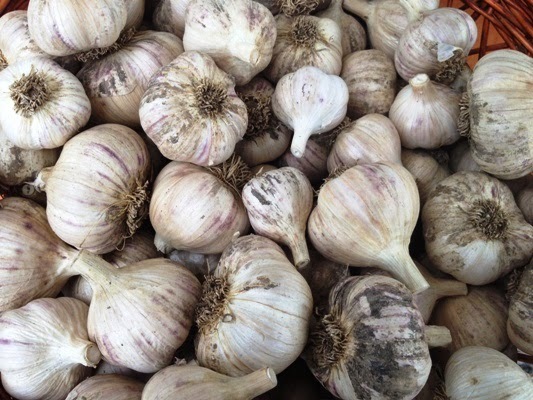 Perth is home to one of the largest garlic festivals around, and The Perth Garlic Festival actually got its start at The Perth Farmers Market in 1997! 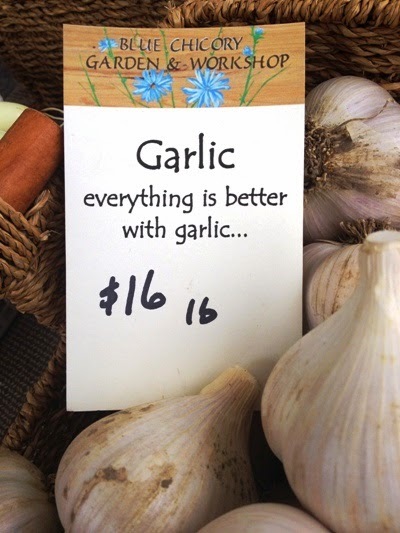 The festival has grown substantially, and is now held on larger grounds, however garlic is still a hot item at The Perth Farmers Market. Agreed! Everything IS better with garlic! While I walked through the market, I stopped to speak with as many vendors as I could. One thing I noticed was that there were so many families there! Not just walking through and shopping, but the vendors as well. Coming in from farms in the area - many families were there selling their items. 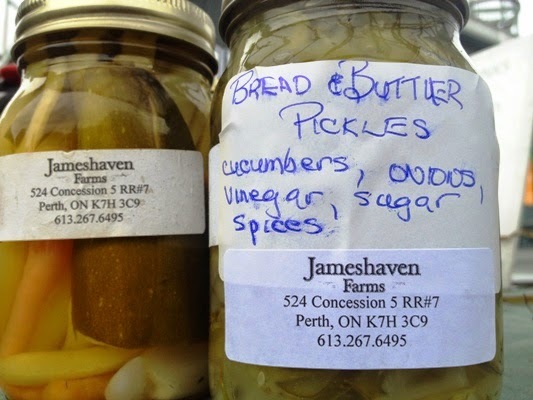 Including homemade pickles from Jameshaven Farms! Jameshaven Farms also sold baked goods and meat (pork, chicken and turkey). 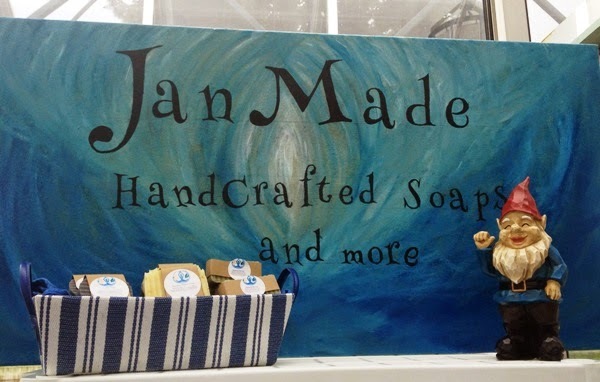 One of the other vendors I spent a lot of time talking to was Jan Made Hand Crafted Soaps. 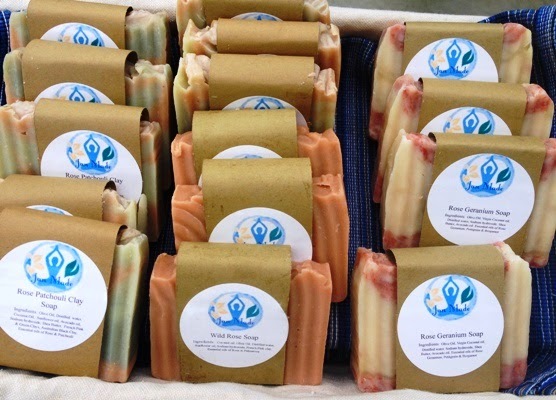 These soaps, butters and balms are vegan and gluten free. Jan was explaining the process she goes through when making the soaps. She was very passionate about the fact that they are made with no animal products whatsoever, all natural colours and ingredients. If they are scented, that is done so with essential oils. On top of all of this....the soaps are gorgeous. She changes the recipes and scents per season, working with what is available at that time of year. 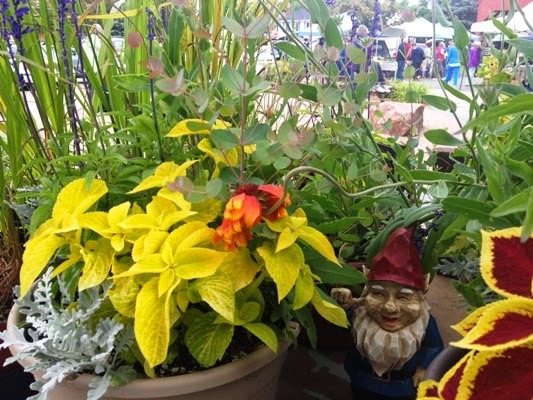 The Perth Farmers Market also had vendors offering a wide range of items, such as handmade jewelry, vintage watches, children's games, pottery, books - and so much more! There was a vendor serving up some BBQ made with local ingredients, as well as baked goods. I even saw a batch of dinner rolls, baked together in the shape of a flower! Each roll could be pulled away for single servings. Imagine having that on the table for Thanksgiving? It was beautiful! I would have a picture...except it was pouring rain, and I was not able to capture one. LOL Just take my word for it! Are you a visitor to the local farmers markets in your area? 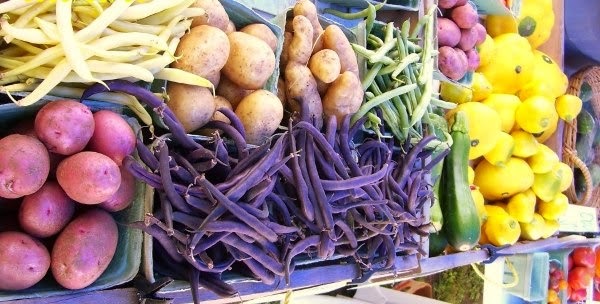 What are some of your favourite items to pick up from farmers markets?